Will Burgess Please Note: Whilst every care is taken in checking promoted links, we cannot accept responsibility for your use of third party web links. For many years, the belts, and their associated buckles, worn as part of a nurses uniform, would seem to have been largely ignored by collectors. And yet those coloured, often 'Petersham' belts relayed a good deal of information about the wearer - category of nursing; rank; stage of training for example; as did the buckle itself - albeit to a lesser extent. To a lesser extent probably because their exact origin (provenance) is difficult to determine. Markings more often than not, do not identify for example, the who; where; and when of the original owner. But much can still be ascertained with a little diligent research. *There is still information and photographs to be added when available. Perhaps then, this article will do a little to awaken further interest in this area of our nursing history - and hopefully fire those already interested to further interest and collector zeal. No attempt has been made to collate the items which follow in any particular order, since the main purpose herein is to present this small collection and to further highlight the topic itself, although a basic structure is applied as perhaps a starting point for future development. This will also serve to highlight glaring omissions which others may well point to, furthering our knowledge of the topic. 1) Military - Army; Navy; Air force - all geographical regions. 2) Civilian - English; Scottish; Welsh; Northern and southern Ireland; International and other organizations. 3).Unattributed. Buckles and belts privately obtained..
(This classification follows the schoolsofnursing photograph gallery convention in order to facilitate member cross-referencing). 1.) 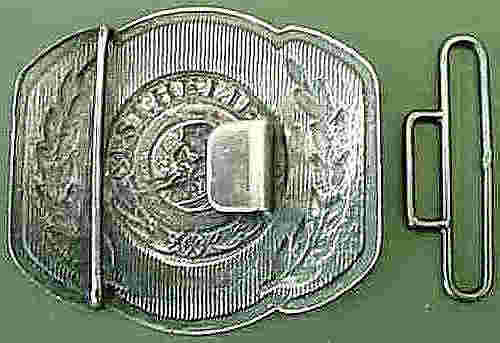 Military Nursing Belts and Buckles - Army. 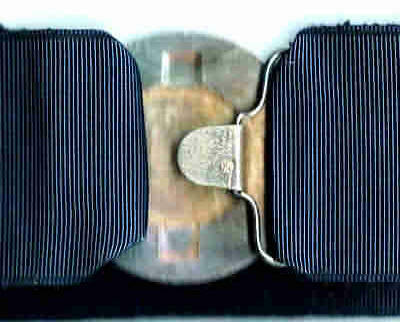 Queen Alexandra's Royal Army Nursing Corps, Stable Belt and Chrome plated buckle. 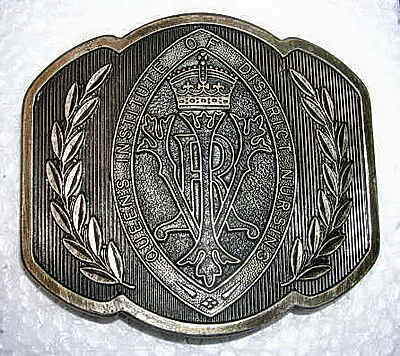 A Queen Elizabeth II period two piece belt buckle for Queen Alexandra's Royal Army Nursing Corps. 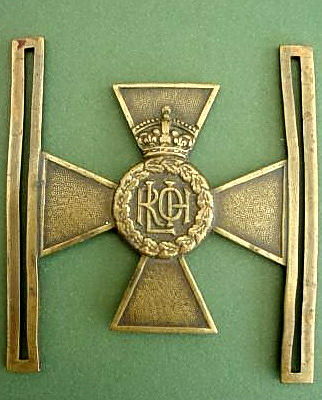 It has the central design of the Dannebrog Cross below a queen's crown and the Corps motto Sub Cruce Candida 'Under the White Cross'. The webbing belt is in the colours of the Corps. Makers mark to rear Hobson & Son (London) Ltd.
c) RAMC - No items. 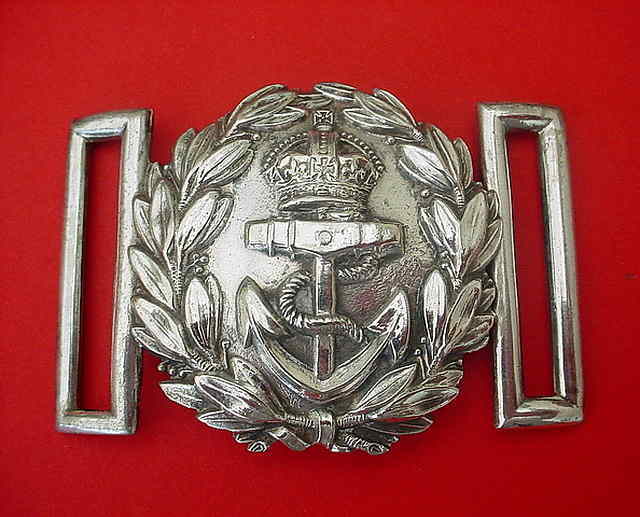 Military Nursing Belts and Buckles - Royal Navy. d). Queen Alexandra's Naval Nursing Service - Circa 1885. 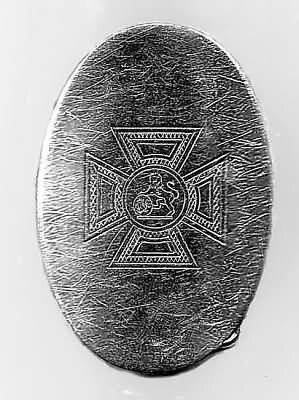 A rare 'Naval Nursing Service nurses buckle believed to be the 1885 pattern worn by nursing sisters; silver plated example bearing Victorian Crowned fouled anchor on lined ground, within laurel wreath surround. Very good condition, complete with single fixed loop, detached loop now absent. Minor service wear. 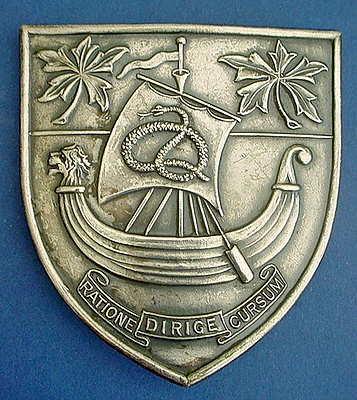 The 'Naval Nursing Service' was formed in 1884. These Royal Navy trained nurses served on shore, initially at Haslar and Plymouth. In 1902 it was renamed 'Queen Alexandra's Royal Naval Nursing Service' QARNNS. Queen Alexandra's Royal Naval Nursing Service - 1906. A scarce Edwardian1906 Hallmarked Silver Nurses QARNNS Buckle, the reverse bearing Birmingham silver hallmarks for 1906 and maker's details "S & Co" (Sydney & Co Birmingham). Very good condition, retaining only one attachment loop - which is not uncommon. A rare complete First World War 'Queen Alexandra's Royal Naval Nursing Service nurses buckle, Hallmarked Silver Nurses Buckle. and maker's details "TBW" (T B Wilkins) to both parts. Very good condition, an excellent example. Queen Alexandra's Royal Naval Nursing Service - Pre 1952. 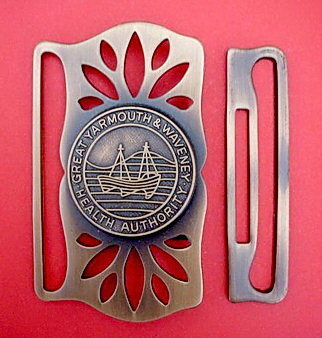 A Silver plated Belt buckle for the QARNNS featuring the crown and fouled anchor within the laurel wreath. The crown is a Kings crown which dates it to pre 1952. 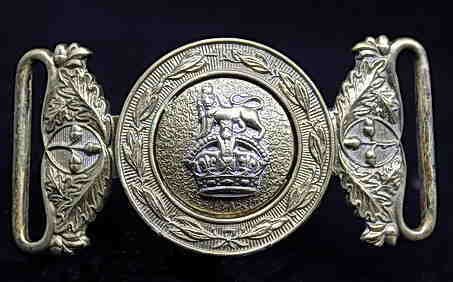 Military Nursing Belts and Buckles - Royal Air Force. 2). 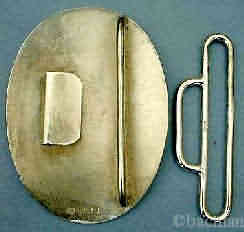 Civilian Nursing Belts and Buckles - English. G.O.S.H Hospital for Sick Children. 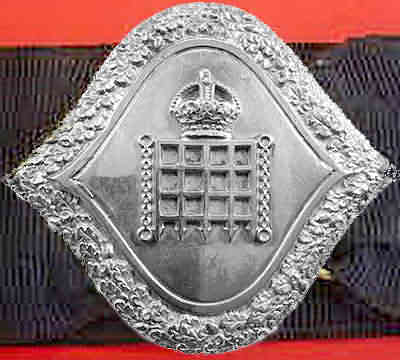 Based of the Hospital Badge this rare buckle is attached to a blue Petersham belt usually denoting the rank of Ward Sister. Copyright. 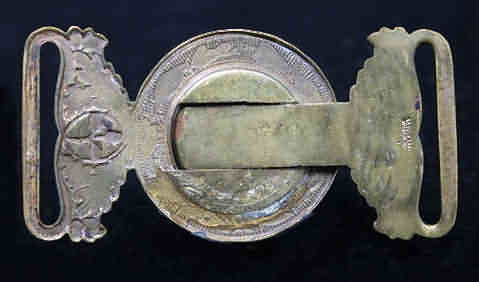 A lovely silver buckle and clasp mounted on a red petersham belt, from St Georges Hospital London. Originally located at Hyde Park Corner before relocating to Tooting in 1979, the original building is now a luxury hotel. 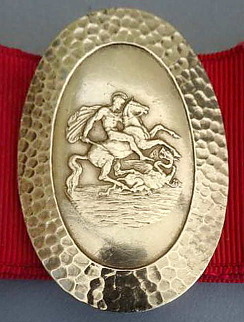 The buckle, in hallmarked silver for 1977,features St George slaying the dragon. Makers mark for Toye & Spencer. It is in good condition but with some surface scratches as is to be expected from a pre-owned item. 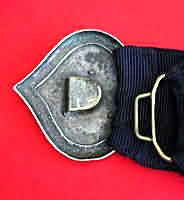 The belt is rather worn in places but retains the original clasp. 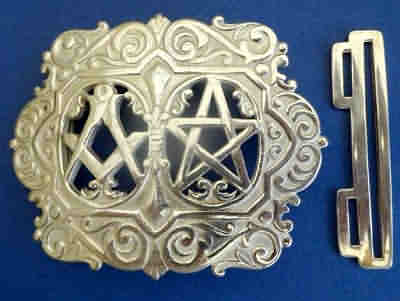 A scarce and desirable two piece nurses belt buckle from the Royal Masonic Hospital. 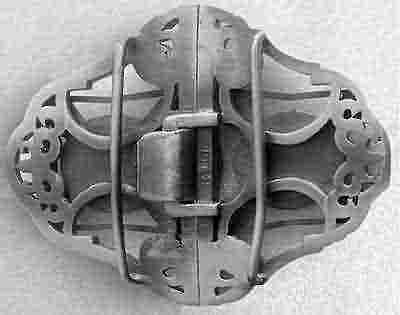 The main body of the buckle consist of a heavy convex scrolled design into which are set two panels in a voided centre. The first bears the square and compass, the second the five pointed star, both masonic emblems. 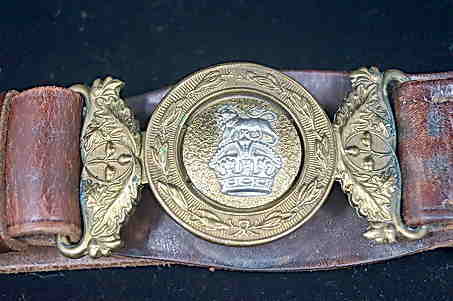 This is a slightly later version of the belt which was awarded to nurses qualifying from the Nurse Training School, and is slightly chunkier than the earlier models. 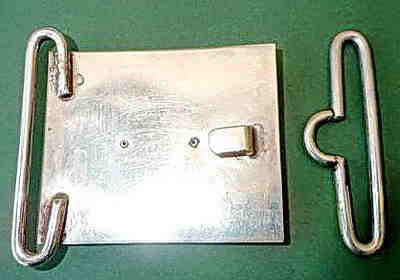 The second piece is the buckle clasp. Both pieces are hallmarked for Toye, Kenning & Spencer, Birmingham 1970.The rear is engraved with the recipients name and dated 1971. The hospital treated over 8,600 servicemen during World War II, and remained independent when the National Health Service was founded in 1948. The Wakefield Wing, with new physiotherapy and pathology departments, accommodation for nurses, and a chapel, was opened in 1958, and a new surgical wing in 1976. From 1977 it began to accept paying non-Mason patients, but financial pressures led to its closure and acquisition in 1992 by the Hammersmith Hospitals NHS Trust, not without controversy. The hospital reopened in 2002 as the Ravenscourt Park Hospital within the NHS, but closed again in 2006. In 2012 it was stated that the building was being redeveloped by the C & C Alpha Group to house the London International Hospital (LIH), which would specialise in cancer and diseases of the heart and brain. In 2015 it was acquired by VPS Healthcare who proposed to reopen it as the 150-bed London International Hospital in 2017, which would be "the centre for tourists to travel to the capital city for state-of-the-art medical care". The Hospital closed in 1992. 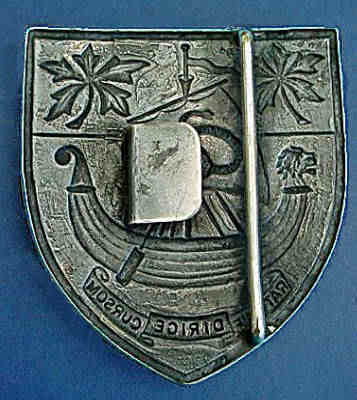 A scarce 'Middlesex Hospital nurses belt buckle'; silver plated example displaying a contrasting oxidized badge of the hospital in the centre and bearing the motto "Miseris Succurrere Disco" (I learn to succour the distressed). Good condition, complete with both loops, some minor service wear to plating. 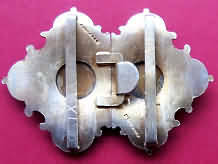 Westminster Hospital Silver Belt Buckle. The Westminster Hospital was one of several that did not award a hospital badge to it's nurses upon success at final examination. 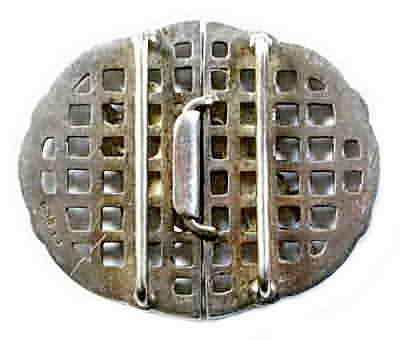 Rather it awarded a (originally silver and later silver plated) belt buckle featuring the portcullis emblem of Westminster. 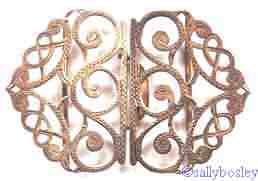 This is a silver plated version attached to a in good condition as pictured. Minimal surface wear with some minor scratches. The Infant's Hospital, Westminster, London. 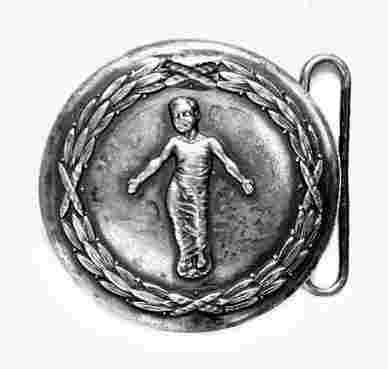 A rare pre 1946 silver plated large circular nurse's buckle, depicting an infant in swaddling clothes within a laurel wreath. Very good condition, complete with both belt loops. "The Infant's Hospital" was founded in 1903 and was situated in Hampstead, moving to Vincent Square Westminster London in 1907 and changing its name to "Westminster Children's Hospital" in 1946. 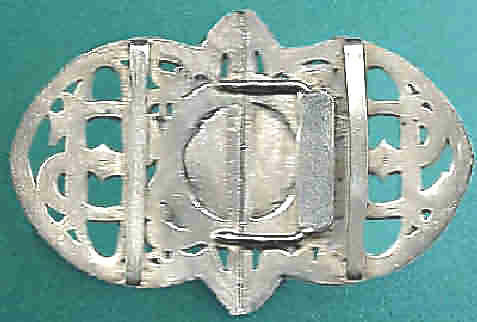 South London Hospital for Women Nurse's Buckle 1912 - c.1940. 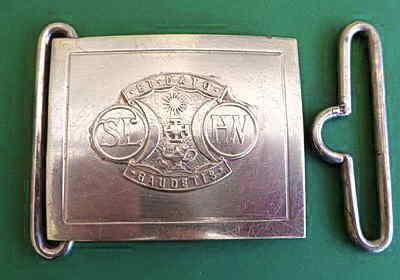 A scarce original 'South London Hospital for Women nurse's buckle'; rectangular nickel backing plate with an applied crest bearing the sun, waxing and waning moons and nurses 'Lamp of Knowledge' in relief, with motto `Et Dato Gaudetis'. Very good condition, attached loop present, seperate belt loop now absent. Legally a trade union, the RCN is perhaps the leading professional nursing organization in the United Kingdom. 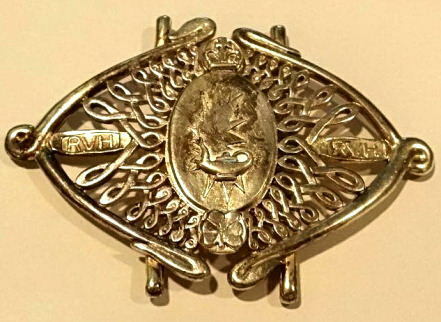 The RCN made/makes available wearable items such as badges which can be worn as accoutrements to nurse uniforms, one of which is this magnificent sterling silver belt buckle - circa ??? 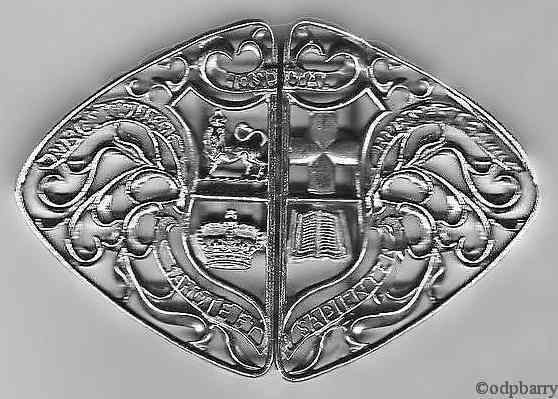 St Bartholomew's Hospital, Silver Nurses Buckle. 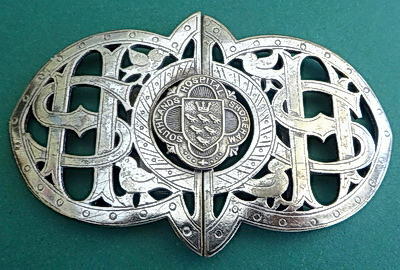 A scarce Silver Belt Buckle for St Bartholomew's Hospital London. 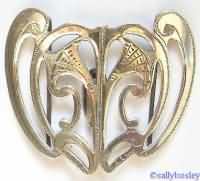 Consisting of a convex silver oval, it bears the Wakering Shield. This one is in good overall condition although with considerable surface scratching, as pictured. It has it's belt loop and hook but is missing it's opposite belt loop and catch, (it should be able to replace this from a good jewelers. 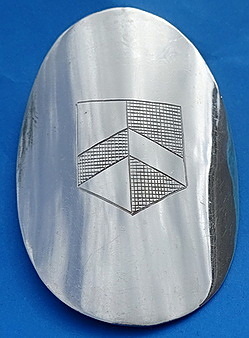 It is hallmarked for D&F (Deakin & Francis), Birmingham 1933. Height 66 mm. 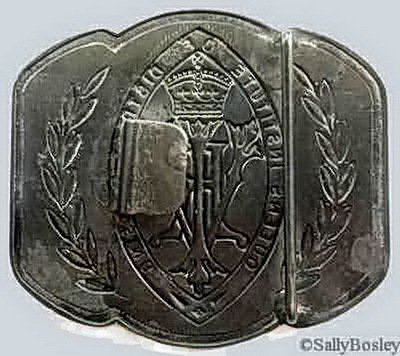 Royal London Ophthalmic Hospital Belt Buckle. 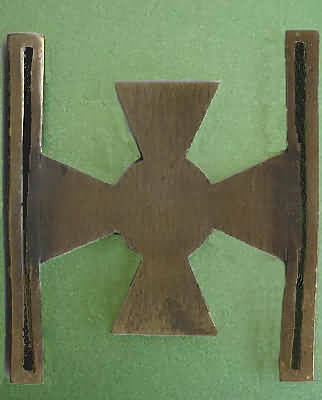 A bronze 'Moorfields Cross' buckle featuring the intertwined initials of the Royal London Ophthalmic Hospital. This design dates it to the late 1920s. 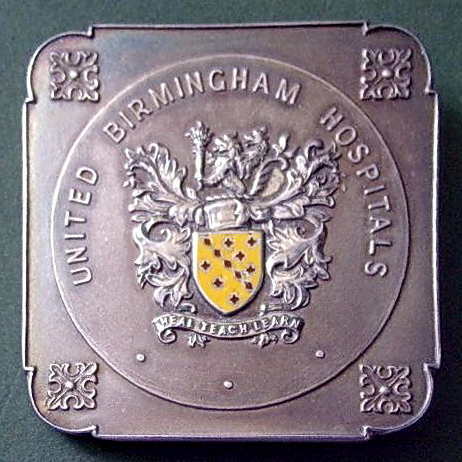 University College Hospital Silver Plated Belt Buckle. 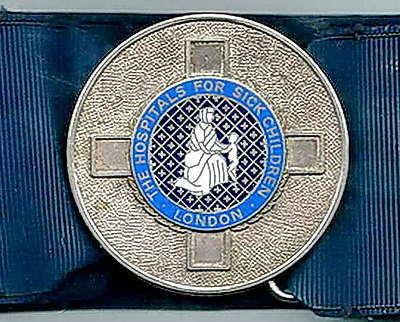 A nice example of the Belt buckle awarded to nurses at University College Hospital London. It features the arms of the hospital with a Viking type vessel bearing a coiled snake upon the sails. It also features a pair of Maple leaves and the motto 'Ratione Dirige Cursum' - literally - 'Govern your course by Reason'. Retains most of the silver plate but has some light areas of wear and general surface scratches, No clasp but these can be easily replaced. 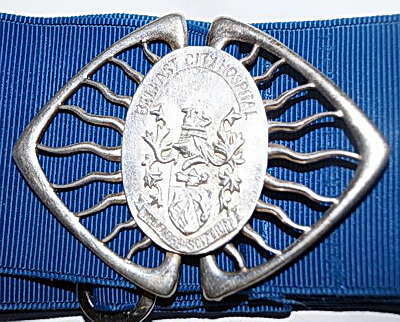 Royal Free Hospital Nurses League Silver Nurses Buckle. Queen's Institute of District Nursing, London. King's College London Nurses League. St Helier Hospital and Queen Mary's Hospital for Children. Southlands Hospital, Shoreham-by-Sea, is a seaside town and port. 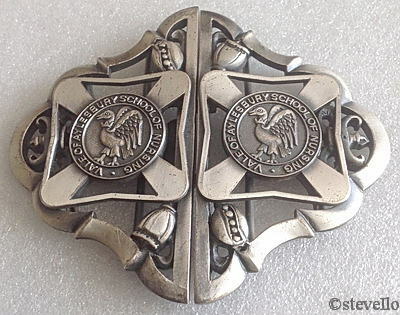 The origins of this buckle is unclear, but it was probably worn by a member of staff at the Southlands hospital, which also had it's own training school for state Registration and enrolment student nurses. Great Yarmouth and Waveney Health Authority. Sadly no attached belt and no detail about the previous (if any) nurse owner. 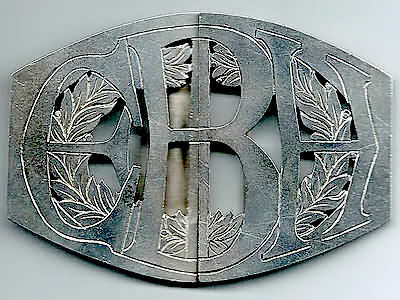 The buckle does, however, present the Health Authority's badge in the centre of the buckle. This badge is more than likely to be the same detail as that presented to nurses at the end of their training. East Bordersley Hospital - later became Heartlands Hospital. 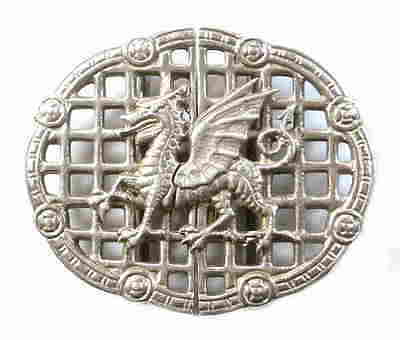 Welsh Dragon SRN Nurses Hospital Buckle, 1995 Hallmarked Silver. Royal Victoria Hospital Belfast. 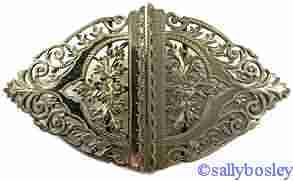 An absolutely stunning belt buckle from this world renowned hospital No further details are available at the time of publication. Canadian, Victoria State. 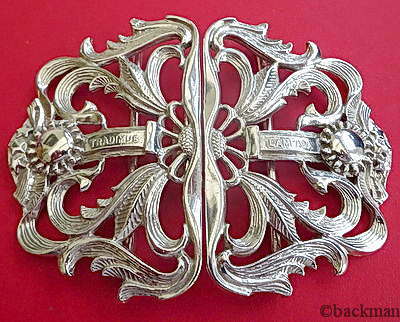 Another magical Nurse belt buckle - provenance unfortunately unknown - though this of course is not unusual in the world of belt buckles. 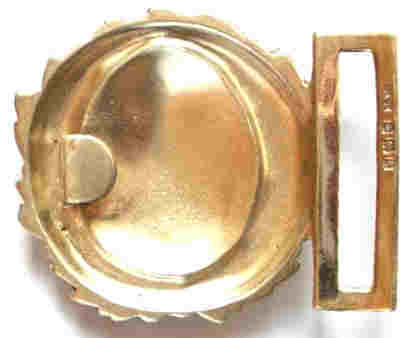 It is of 28 grams sterling silver gilt - giving (originally - now worn) a surface gold colour and fully hallmarked so that origin should be traceable. Provenance is difficult in the absence of paperwork, a box and of course the belt, which we do not have. Canadian Military Nurse belt Buckle. 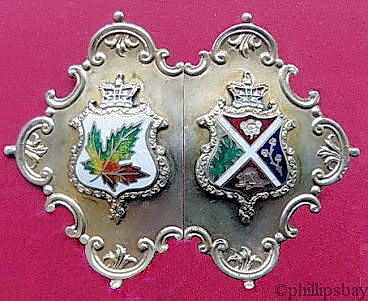 The photographs of this stunning example of a complete Canadian belt and buckle. 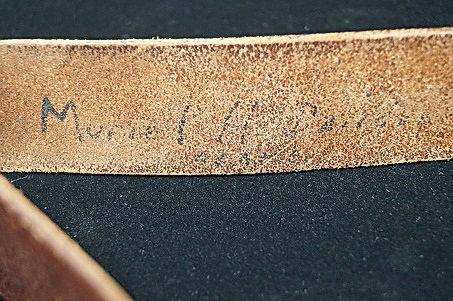 The hand-written inscription on the rear of the belt would seem, quite probably, to be the nurse's name - as close as can be deciphered - 'Muriel H Dawson'. The surname being a 'best guess'. 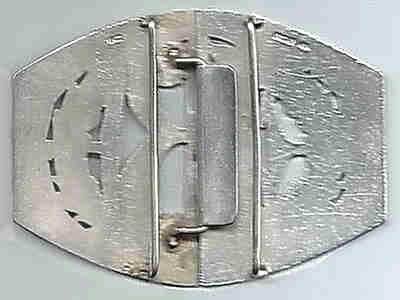 There is perhaps one class of belt buckle that is perhaps ubiquitous and almost, at the same time, unique. 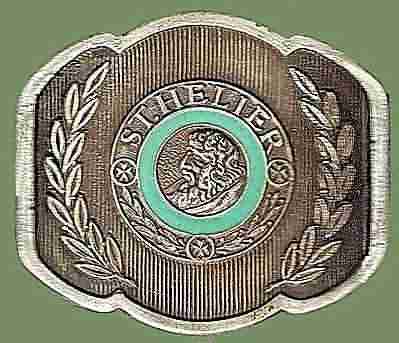 That of the regular buckle worn by thousand upon thousand of nurses in their daily nursing. 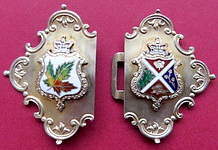 Perhaps the vast majority of these buckles were purchased privately from local jewelers; occasionally handed down as heirlooms; or otherwise obtained to embellish those coloured 'Petersham' uniform belts. It was probably rare to find a qualified nurse in uniform without one of these superb, mostly silver, often unique, items. 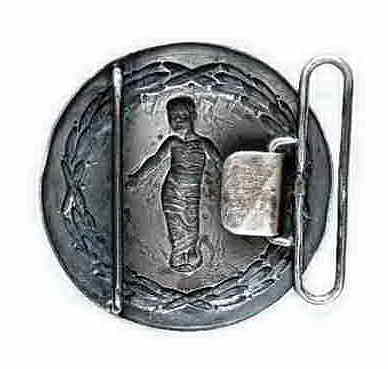 There are still a great many of these buckles available, and provided any nurse has permission to use one as part of personal uniform there would seem nothing to prevent this. There seems much further work needed in the area of nurse belts & buckles. We will be undertaking this shortly. Any acknowledgement which has been accidentally omitted will be rectified as soon as information is received.